Its all about the packaging! 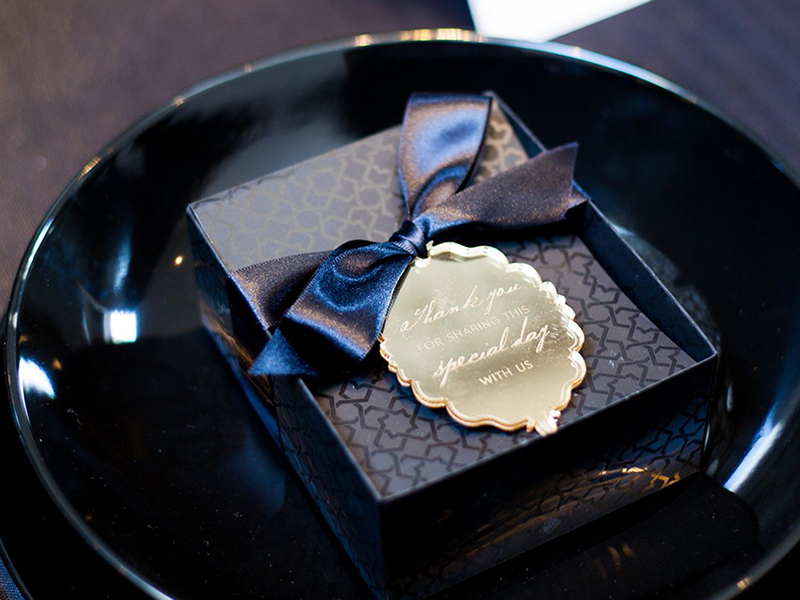 Luxury gift boxes at their best, these beauties are made from luxurious skin like paper with black on black gloss printing on them to provide a “blind” pattern on the box. Finished off with a gold perspex engraved ornate tag on satin ribbon, its the epitome of class and elegance for an upmarket event.